First off, right when you pull it out of the box, you can see the quality and care that is put into this. Even the cardboard boxing had fabric straps! 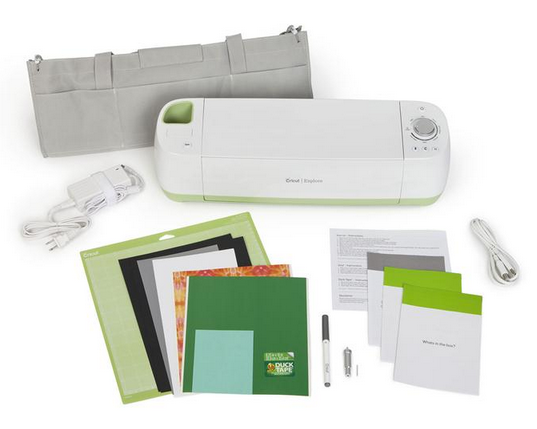 The Cricut itself comes neatly and snugly wrapped up in a really nice carrying bag. Perfect to be able to take it with you to a classroom or fun scrapbooking night with the girls. Set up was surprisingly simple too! I’ll tell you, at first I was a little hesitant as I was worried I wouldn’t be able to figure it out. I really am NOT crafty on the computer, I know the blogging basics and that’s about it. But the directions are EASY. Literally, you plug it in, connect the USB to your computer, go to their site and voila!! It walks you through the steps to set it up. Took a few minutes to update my cricut but other than that I was able to continue about my business while it did that. Even better? It takes you step by step into making your first project!! Then… the first finished product! Isn’t that awesome!?! 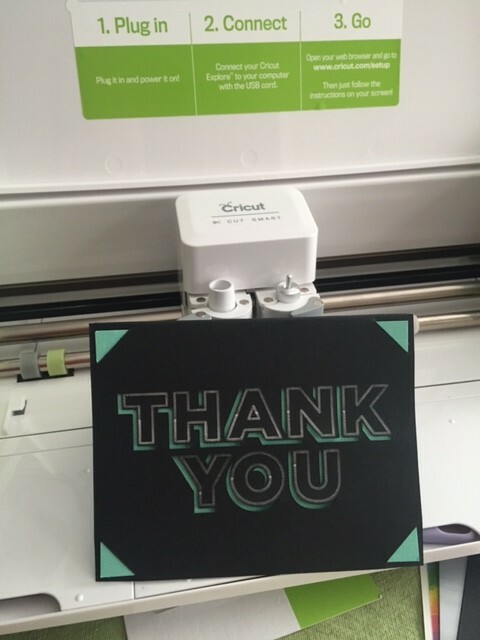 Such an intricate and fun Thank You card with a few pushes of buttons. The only downfall I see is that I am going to be purchasing more card stock, stickers and fun things to make!! They also have vinyl which I LOVE as you can make fun Wall Decals!!! So cool!! 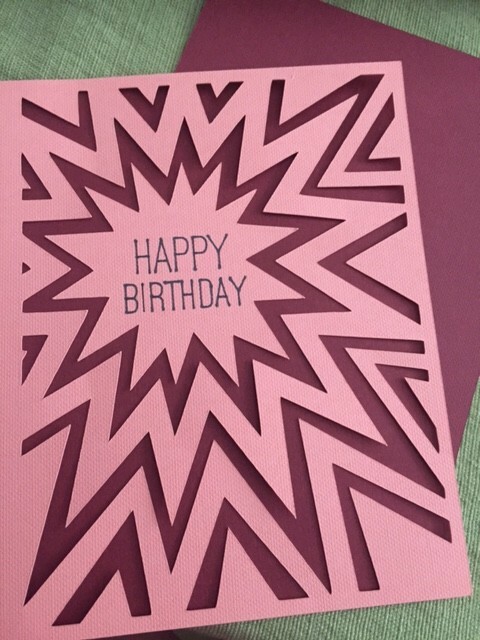 I immediately had to make another card too… this one was way more intricate but JUST as easy to make too! I love it!! I could seriously spend an entire day (or two, or three…) making fun new projects. Not only can you make flat cards, stickers, decals, etc. But they have templates so that you can make 3D animals, art projects and more. I am amazed by the potential and it is definitely a crafty person’s dream tool!! Oh!! And I cannot forget to mention the storage!!! Check this out…. All your necessities can be stored IN the machine!! I LOVE that as I hate having a bunch of little tools all over the place. This is by far the most handy design tool I have used and I highly recommend it if you are looking for a gift idea or just need/want something to make crafts, scrapbook, label things, etc.!! Check it out at Cricut.com! What would you make?! Give me some more ideas and I am sure I will share more as I make new things over the holidays! 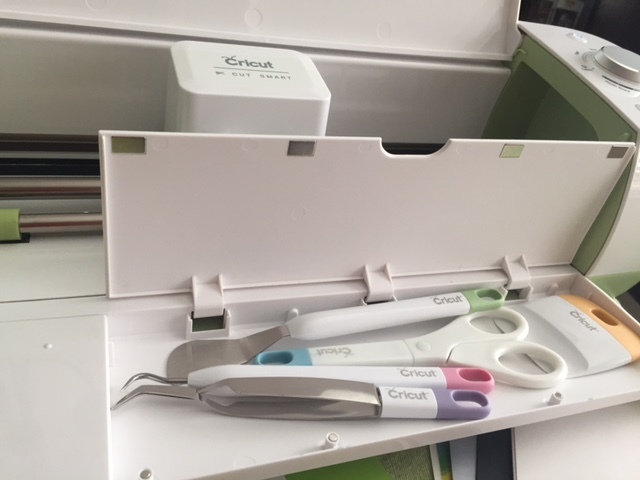 Disclosure: I was provided the Cricut Explore Machine and accessories to facilitate my review. All opinions are 100% mine as ALWAYS!